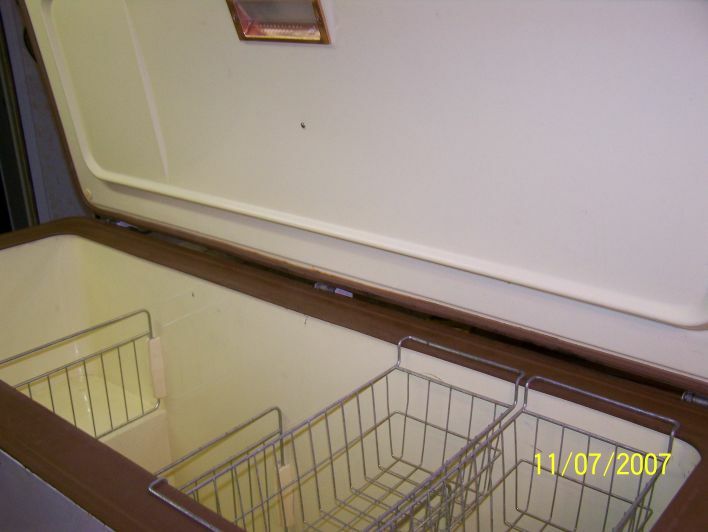 Below is pictures of my IH refrigerator and chest freezer. Click on thumbnail to view larger picture. 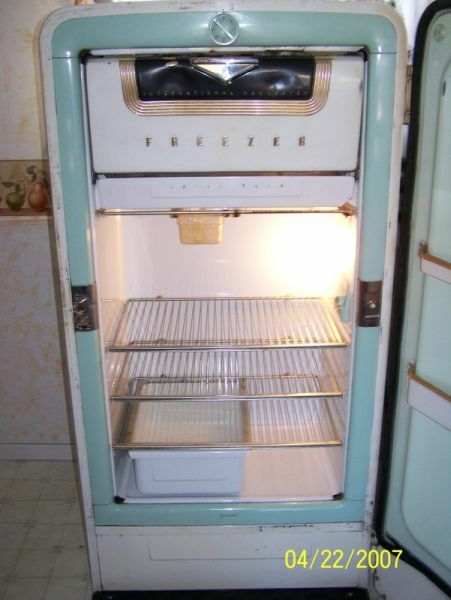 1953 International Harvester L-84-D refrigerator. I traded a good friend David Williams a parts Massey Harris #6 sickle mower for this beauty. 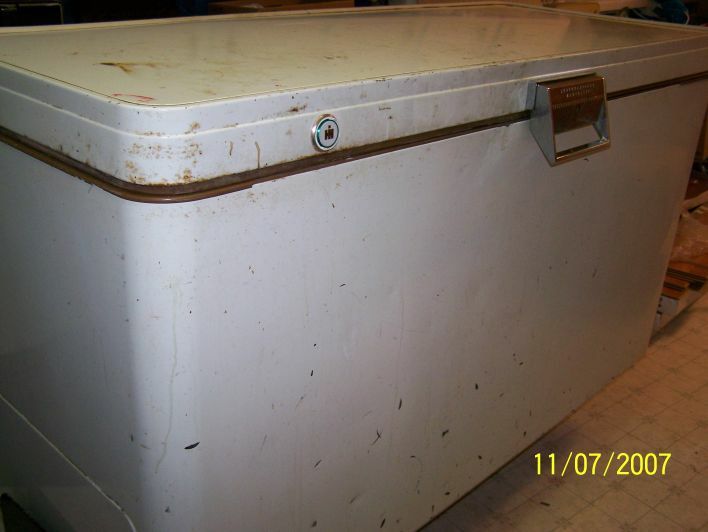 1955 International Harvester chest freezer. 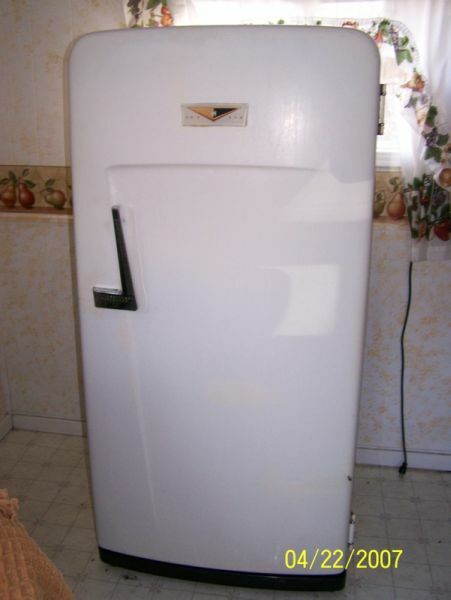 This freezer came from Saint John, New Brunswick. 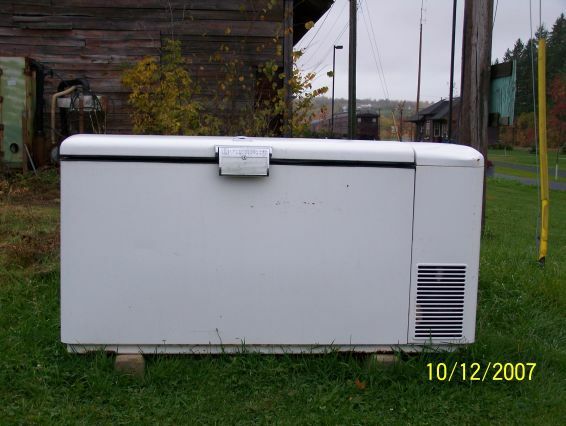 This IH chest freezer was spotted in one of my journeys, being used a garbage bin. It is located in Florenceville, New Brunswick.